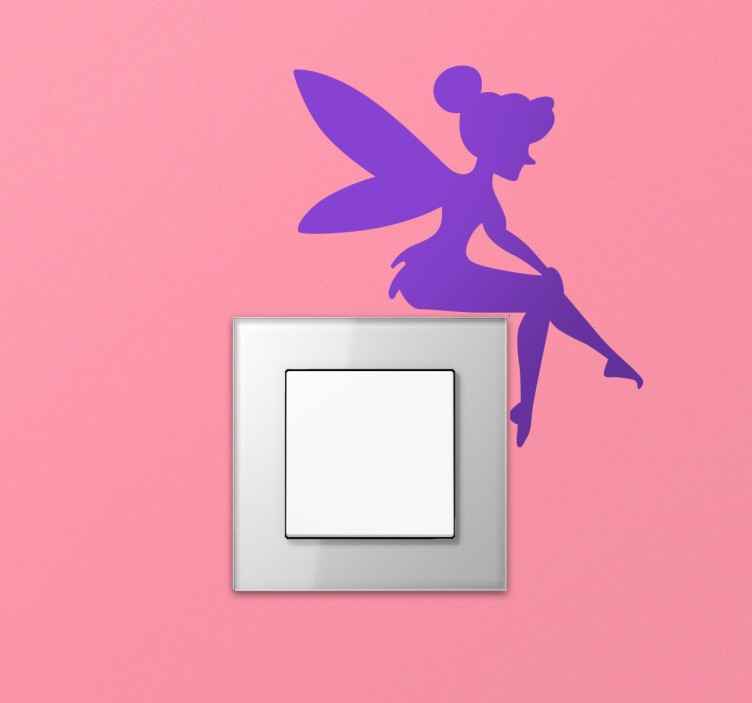 Ideal wall sticker for bringing a touch of fantasy to the light switches in a girl's bedroom. Light switch sticker of a fairy that appears to be sitting and resting on the corner of a box. Cheap stickers that create an original atmosphere and renovate even the smallest spaces of your house. Transform your room according to their tastes and age and also spark their imagination. Easily decorate a somewhat un-aesthetic element such as a switch. The measurements indicated refer to the box itself. If you have any doubts, please contact us on info@tenstickers.co.uk.